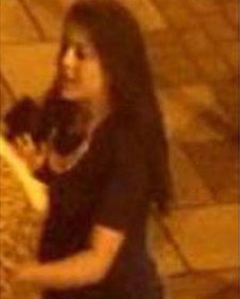 Police are looking for a woman after an attack in Birmingham in which a man lost an eye. The 43-year-old victim was assaulted in Thorp Street, near the Hippodrome on Sunday morning. He also suffered "significant injuries" to his other eye and could lose his sight completely, officers said. Two men have been charged in connection with the incident but police want to trace the woman captured in CCTV images as part of their inquiry. A 29-year-old man from Bromford appeared at Birmingham Magistrates' Court on Monday charged with grievous bodily harm. He was released on bail. A 24-year-old man has also been charged with grievous bodily harm and was due to appear before magistrates on Tuesday.